I have the same thoughts as your about vegetable biryani . Love to make it when there are guests or even no guests. Your recipe and stepwise instructions are so good. Perfect biryani !!! Loved the clicks too !!! Who can resist to this beautiful bowl,inviting rice. 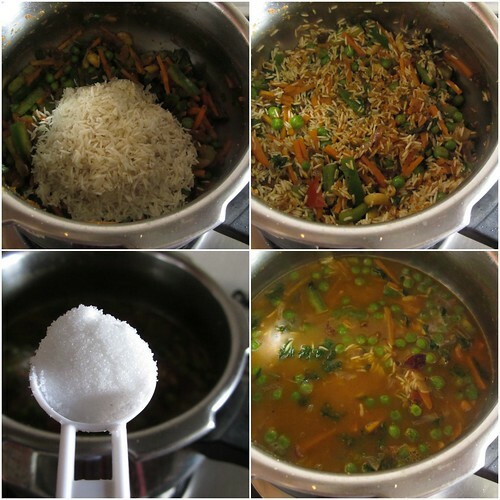 Love the last pic Divya.. flavourful rice and beautiful sides. 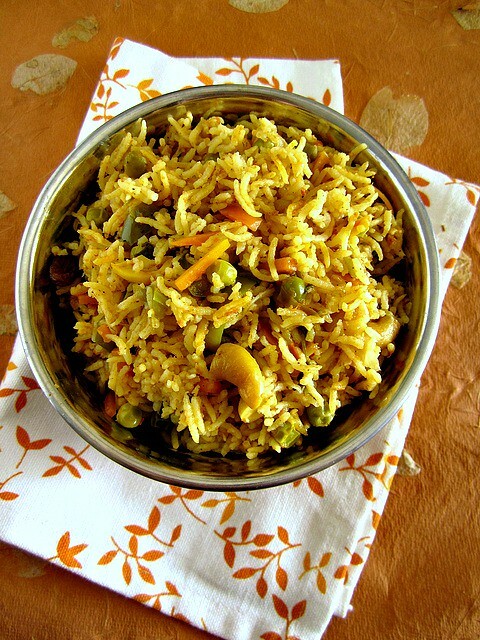 Yum yum biryani,love the recipe. This Biryani looks amazing...love the flavors!!! 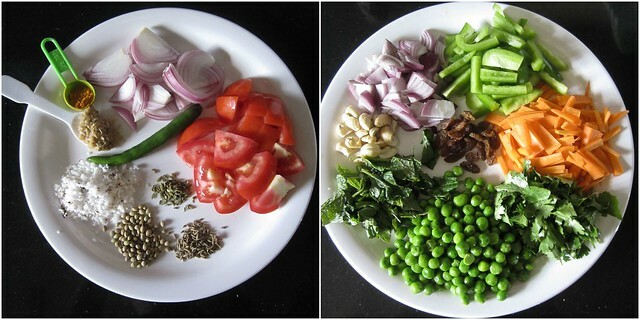 Like the step by step pics...i admire the effort that goes into that- Great Divya! yummm yummm yummy! biriyani in any form be it veg or non-veg...am still addicted. 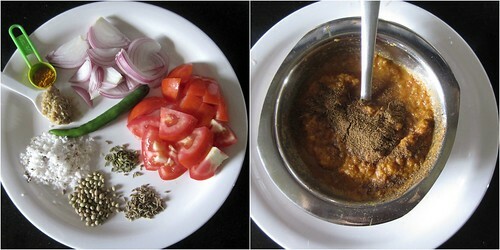 And this how me too prepare - in the pressure cooker. 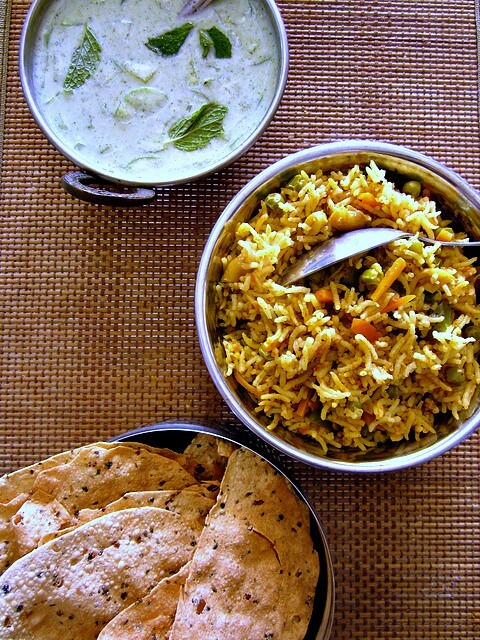 thanks a ton..i was always looking for the recipe of veg biriyani whenever i visited a vegetarian restaurant...it looks yummy too :)..d only prob is that I get the rice overcooked when i do this way..:-(..i mean it gets so sticky..i guess we need a lot of practice to achieve the right proportion..
yum yum yummmm... biryani is my favorite!!!! Hi.i just made the biryani.Amazing.You know it si fast to cook ,good to eat.Thanks. 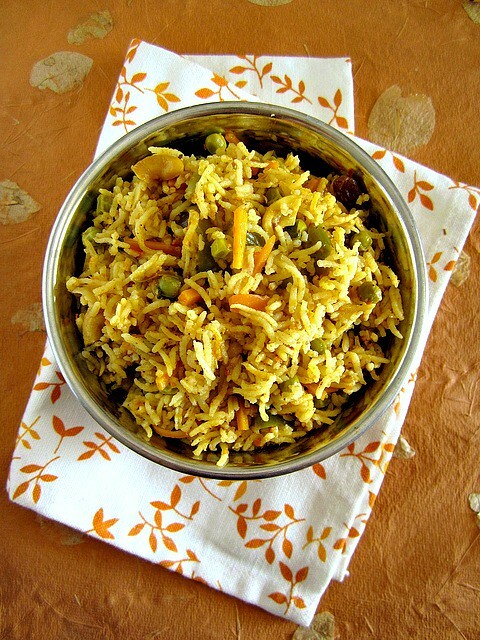 The Biryani looks fab and the pictures you hve put up are really drool-worthy! The easy recipe truly belies the how complex and flavorful it looks! 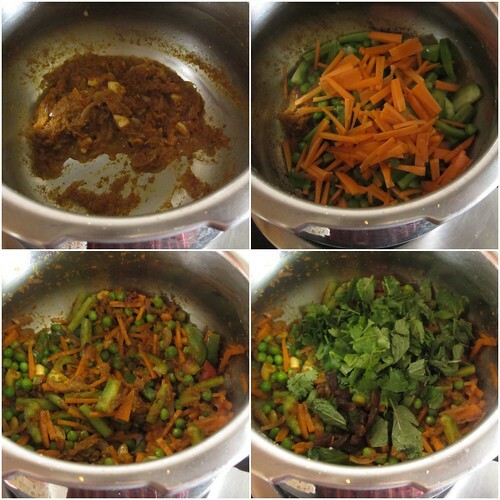 Love those veggies in the biryani. I never get tired of making one pot meals. Love them. 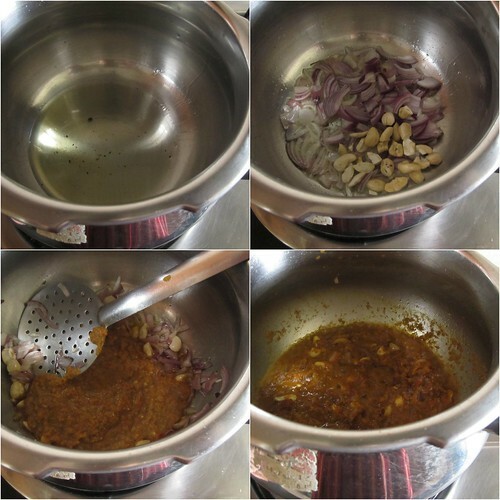 Thanks for sharing Divya..
Lovely recipe suitable for a busy day too.Will surely try it. I would love to know about the pressure cooker shown in your picture.Is it a stainless steel one? Yes,it is a stainless steel 3.3 ltr handi Cooker-Prestige brand. bookmarked to try this recipe. i made quick masala biryani a few times in pressure cooker, in spite of being a biryani purist.... but they did not turn out that good. so will try this recipe. I tried this and came out very good..It was yummy!! I tried it and came out very good..It was yummy and easy! !